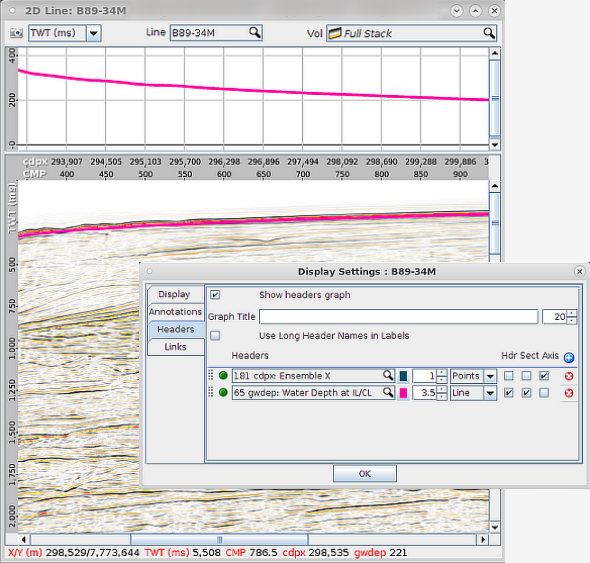 The headers graph displays trace headers and other information in a graph above a section view. Values from selected headers are also included in the information bar at the bottom of the view. Open a section view (IL/CL, 2D Line, Arbline Views). Right click and select Display Settings. 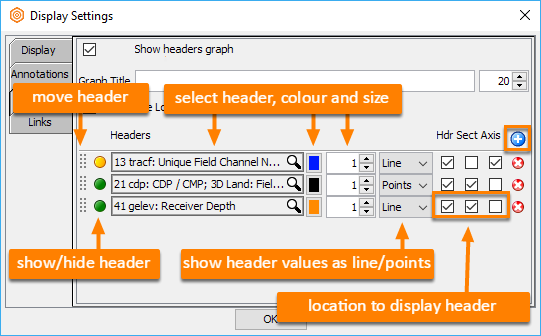 Select the Headers tab and click Show headers graph checkbox. Enter a title and choose a font size to customise the header graph. 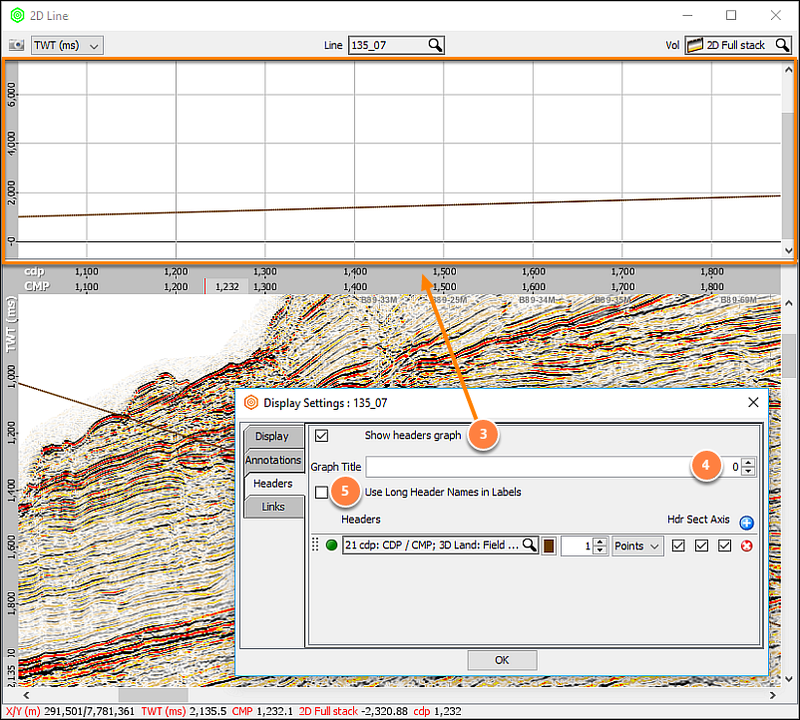 Select Use Long Header Names in Labels to show the full trace header name. Plotted in the header graph as a line or points. 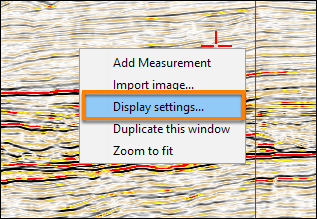 In the section window, over the displayed data. In the horizontal axis of the view. Click the blue "+" icon to add a header row. Change the order by dragging the dots on the left. Show or hide the header using the green/amber light. Choose the header to display. Select a colour and size/thickness. Display as points or a connected line. Show the values in the top graph, over the section, or in the axis. Remove a trace header by clicking the red “X”.